Home11:11Your 2018 Numerology Forecast – We Have Come to Build a Bridge, So Come Let’s Build! Happy Chinese New Year! It’s time to restore faith in happy endings. The title is from my favourite song, Build a Bridge by Nahko Bear. I wanted to write this forecast earlier, but life’s been so hectic, I had to focus on family and health. That’s the theme for many of us in 2018 – returning to our happiness and being the change we wish to see (thanks for the quote, Gandhi). Remember, ‘to the world you may be one person, but to one person, you may be the world’. We do more good by staying in our bodies and leading a simple life, than by going out of our minds trying to prove we’re on top. What happened last Universal 11/2 Year (2009)? In numerology, every word and name can be reduced to a number. In my calculations, TIDE adds to 20, and LOVE adds to 18. See the spelling system. So, 2018 can be read as TIDE-LOVE, i.e. a chance to experience emotional completion, the kind of connection you’ve craved since birth. Relationships, not isolation, will be the key to progress. Think of them as bridges between your past and future selves, or between aspects of your body and Soul. -a bridge between Heaven and Earth. Used wisely, 11 takes you higher and makes you PSYCHIC (an 11 word) , you just have to stand up and stay in your lifepath. Meditation, spiritual studies, healthy living and taking care of your energy/ time/ money will raise your vibration, bringing you radical LUCK, ENERGY, HEALING, GENEROSITY, ENLIGHTENMENT, ABUNDANCE, MANIFESTATION, WISDOM, SYNCHRONICITY, MENTAL HEALTH* and PERSONAL GROWTH – all words that add to 11) *I note that MENTAL ILLNESS, MEDITATION and MENTAL HEALTH have an 11 vibration, suggesting they’re intimately connected. The line is so fine and fluid, even I get confused sometimes. -a highway, road, stream, gate, portal, doorway, birth canal, even a zebra crossing a la The Beatles (i.e. 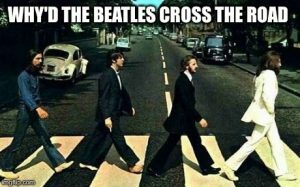 safe passage through challenging or risky times)… Why’d The Beatles cross the road? To show us how to get from one dimension to another – it’s easier as a group! -a PAUSE symbol on a remote control (encouraging you to take 1 step at a time – total presence gives you 100% power ) When life feels too fast, breathe and reset. This is something I had to do many times while writing this post, which took six weeks due to kids, illness, anxiety, fatigue and perfectionism! Many of my readings and palmistry workshops brought me ideas for this post, so perhaps all is well. As they say, in nature nothing is rushed but everything is accomplished. In contrast, 2017 represented TIDE-KARMA and was about making fresh starts, as I wrote in last year’s forecast. Numbers go from 1 to 9 and then repeat, so we ALL began a nine-year, global cycle of learning in 2017, which ends in 2025. 2+0+1+8 = Master 11, which reduces to 2 in numerology. So we can live this year at the higher vibration of 11 (a gateway/ clear channel), or the reduced vibration of 2 (a swan/ peacemaker). It’s our choice. In Tarot, the 11 Card is Justice, and the 2 Card is the High Priestess. Together, they represent fairness and insights, which come from quiet reflection. We’re being called to balance our outer and inner worlds, ASAP. Master 11 represents spiritual growth and partnerships, a meeting of equals. 11 can bring oneness or division (a split personality), depending on how you wield it. It’s like a light sabre from Star Wars. You can use it to conquer fear, or to zap yourself in the foot! I know 11 well, as I am a 29/11 lifepath, with an 11 name, who studies Master 11/ 22/ 33 people and 11:11 See’rs for a living. Even my phone adds to 11. The energy of 2018 (11/2) activates Root (1st) and particularly our Sacral (2nd) chakras. It invites us to remove blocks to ‘flowing with pleasure’ and leave behind a tendency to freeze in confusion or disgust. 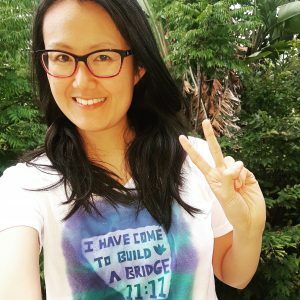 Everyone on Earth is being upgraded as part of an Ascension process, so expect many reports of anxiety, overwhelm, nervous breakdowns/ breakthroughs, financial turmoil and rebuilding, sexual awakening, and psychic wake up calls. Blogs like this will be needed, as people search far and wide for answers to their predictive dreams and relationship challenges. Remember, you see what you are. I’m as human as anyone else, as are all so-called ‘experts’. Stop thinking other people know more than you, they only see 1% of the iceberg whereas you live there 24/7! We’re here to stimulate thought (the Age of Aquarius), rather than be gurus (the Age of Pisces, which is passing now). -create/ join/ promote more groups to exchange insights and fight for our future generations…why reinvent the wheel when the bus is at your doorstep?! -Value intra-dependence instead of independence or codependence (understanding we NEED other humans, but don’t have to be NEEDY – listen to this Relationships – Getting into The Vortex Meditation by Jerry and Esther Hicks, it changed my life). -a 1, 2 or 11 Lifepath in numerology – find your lifepath In fact, all Master Numbers (11, 22, 33, 44) will be called to action in 2018. -working in these industries: Alternative Medicine (which I call, ‘medicine’ seeing as it’s the original healing we all studied in past lives), Art, Charity, Education, Fashion, Media, Music, Personal Growth, Politics, Spirituality, and Travel (‘cutting-edge’ industries which push people’s buttons – 11 is ruled by Uranus) I note that the first episode of Here and Now is called 11:11 – see this video about Ramon Glad to see numerology going main stream! -and especially, if you identify as a Starseed or Spiritual Messenger, e.g. you see 11:11 and repeating numbers like 111, 222, 333, 444, have Composite Whorl fingerprints, and so on. Teal Swan and in5D have good Starseed information. If you are into alternative healing or spirituality, want to help people on a mass scale, are psychic, struggled in childhood etc. you’re one of us! All humans are Starseeds, but I’m referring to those who’ve recently lived in other dimensions. Please, don’t dismiss this lightly – do research including past-life regressions, before making up your mind. When you realise you’re immortal, life’s so beautiful. It took me ten years to embrace my divinity, and I’d do it again in a flash. “In Chinese Astrology, the year of the Dog is associated with finding balance and getting organized. On one hand, we may feel called to act, to change, and to make headway, but on the other hand we may feel a need to rest, reflect and go within. -I read a book called Animals in Translation by Autistic author, Temple Grandin, that mentioned couples who have dogs, tend to stay together longer. This makes sense – when we fight with someone, we’re in our heads and disconnected from our hearts. Dogs are so forgiving, they remind us that love is always within reach, and we can ‘get back in touch’ with one hug. It’s also possible that dog-lovers are more loyal and patient in general. Who knows which came first? No wonder I’ve been wanting to get a dog this year, after overcoming a childhood fear of being bitten (black dogs have always chased me until now – both the animal kind and depression – more on the spiritual meaning of diseases and how they can birth a healer). One symbol for 11 numerology is a lighthouse, the definition of on/ off brilliance – we 11 Lifepaths shine in the darkness, but don’t waste energy at other times, preferring to live at the 2 vibration (helper and details person). We must create doorways for change, otherwise we become doormats, and burn out. I call this ‘over-two-ing it’. -You’ll notice the focus on finding balance above, this is a key feature of 11 energy, it loves symmetry, beauty and clarity (even the number is a duplicate). -COMEDY also adds to Master 11 (see my debut from 2015 – it was my response to someone who told me to abort Forrest!) and 2018 will be a fun time if you don’t take things personally (2 energy is about releasing attachment and desire, and staying centred). When you understand numerology, everything makes sense and you can enjoy the unfolding of life’s grand plans with amazement and gratitude. It will keep you one (or eleven) steps ahead! -FYI, this Forever Conscious article on 2018 astrology talks about this year being very Earthy (similar to the Chinese Astrology), which I love because I’m an environmental scientist by training and believe that we can solve almost any problem by sitting quietly in nature. Time to get those garden gloves out! What happened last Universal 11/2 Year? Universal 11 and 2 Years bring much-needed upheaval at the relationship, political and spiritual level, they force us to confront our shadows to understand our light. Stars shine brightest in the darkness, as they say. Remember, 1, 2 and 11 lifepaths are particularly activated at these times. -Avatar was released – this is so Starseed energy, it’s not funny! 2019 is a Universal 3 Year of Creativity and Communication. A time to expand, scale up, and say what you mean until people actually listen. The next decade delivers huge openings for awakening people to bring their beliefs into the open. We will see waves of healers and 11:11 See’rs, who take a stand against misinformation. ‘As we raise our vibration, we will be tested’, so it’s vital to strengthen ourselves for the journey. It’s going to be huge. What’s the difference between the Universal Year and my Personal Year? Both are nine year cycles. The Universal Year (e.g. 2+0+1+7 is a 1) affects everyone, while your Personal Year is based on your day and month of birth. In my experience, it runs from birthday to birthday, however for those born from October onwards, there can be overlap. 2+1 = 3, so from Jan 2018 I am in 3 Personal Year of Creativity. Perfect timing as I just gave birth to Charlie, a 21/3 Artist lifepath, and have picked up many hobbies again. In 2009, I studied Holistic counselling and my father was diagnosed with cancer, just as I did my final assessment. I couldn’t have been more supported and fortunately, he survived. From that moment on, I just knew I had to leave my 9-5 job and go full-time in my business. 3 is positive change. 2018 is an exciting time for Lightworkers, Inventors and Futurists, especially those with Master Numbers, 11 numerology anywhere in their charts (lifepath, name, pinnacles, businesses, spouses, kids), and many 1’s in their dates of birth. Many of us will go through major upgrades and find our next chapters, we just need to trust in, and act from love. Like all Master Numbers, 11 is a ‘double or nothing’ opportunity. This will be a year of high highs and/ or low lows, depending on where your heart space is at! Here’s wishing you a spectacular 2018, where you build a bridge (linking your past and future), get over it and then teach the rest of us what worked! See you on the other side, Star Buddies! This amazing video sums up 2018 energy perfectly – it just takes 1-2 people to create a revolution!